More than four years since the first plans and artist’s impressions were drawn, the new Community Enterprise at Rubha Romagaidh, Horgabost is coming to life and expects to welcome its first visitors at the end of the year. Following a feasibility study and further Community Consultation, the Trust appointed Rural Design Architects to design a Community Enterprise Centre at Rubha Romagaidh, Horgabost. Their brief was to meet the community’s needs by designing an outstanding multi-purpose centre incorporating first class community, business and visitor facilities. 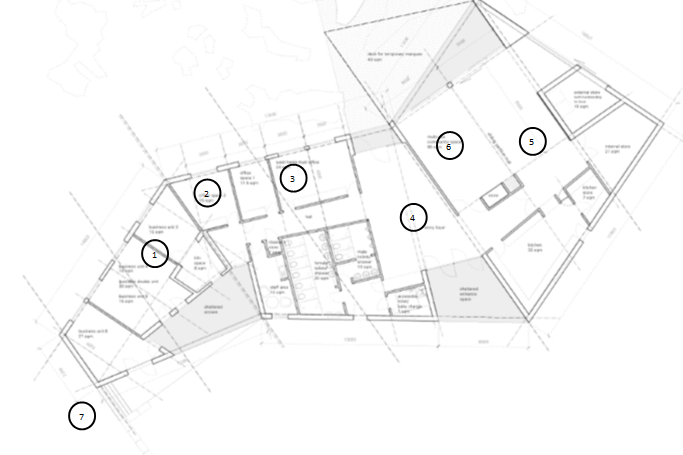 Four light industrial Units to be leased to creative and craft industries. A room available to let as a meeting room or a therapy / treatment room. One 21m² office for use by the WHT and one 15m² office available to let. A Gallery area to showcase local artists work or as a public exhibition space. Commercial kitchen and half of the multi-use community space available to a tenant for use as a restaurant. Community space for performances and events, community use and private functions including weddings and conferences. 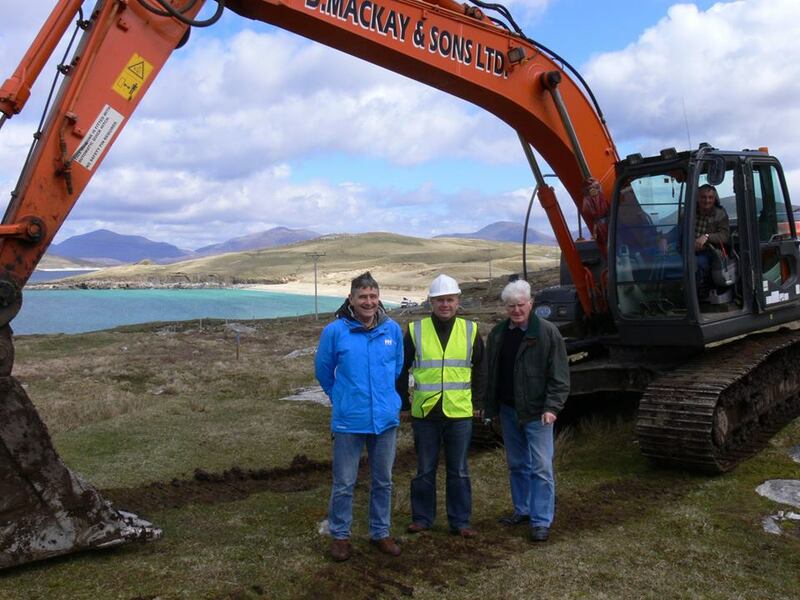 A funding package was secured for the project from the Scottish Government, The Big Lottery Fund, Comhairle nan Eilean Siar, Highlands and Islands Enterprise, Coastal Communities Fund, the Robertson Trust, Scottish Hydro Electric Community Trust and the West Harris Trust in kind contribution. Trust Directors and contractors John Murray and Company marked the official build start date with a Turf Cutting Ceremony. Alex Passmore from Leverhulme Memorial School won the name the Community Centre Competition and the building was officially renamed Talla na mara. 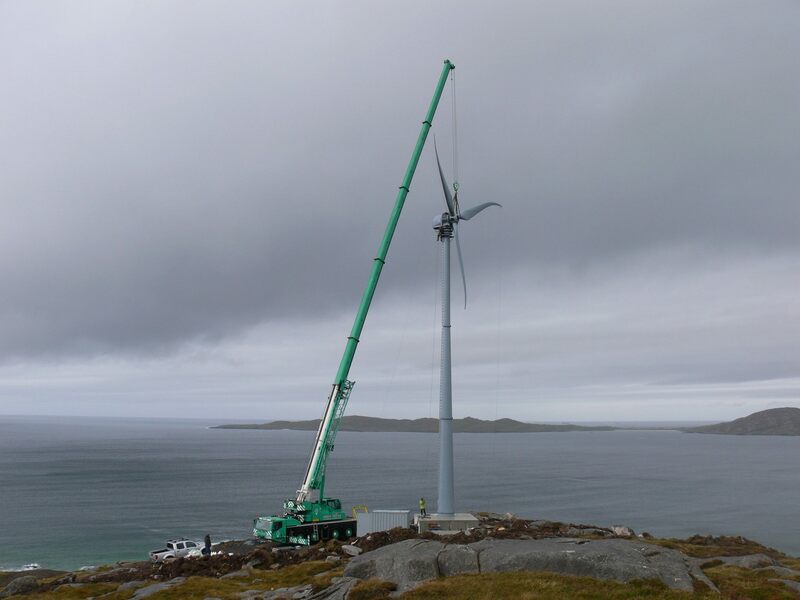 Our new 100kW Xant wind turbine was erected on the ridge behind the development. 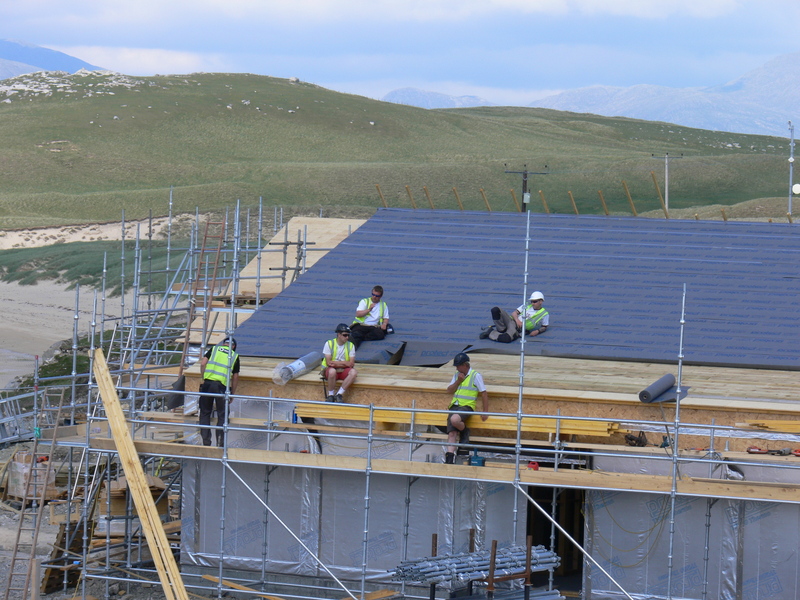 The turbine will provide electricity for the new community centre and the six HHP houses on the site. It will also heat the hot water to heat Talla na Mara and excess energy will be available for Electric Vehicle owners to charge their cars. Talla na Mara is officially open! We welcome friends, neighbours and visitors from near and far to our brand new Community Enterprise Centre. For regular updates regarding events and exhibitions please visit our Facebook page.